The Adobe PDF format is the universally accepted standard for documents that retain their formatting and layout across every platform and in every browser. Today's discount software promotion makes it possible to enjoy the PDF format across almost all of your applications - it's PDF Impress 10! 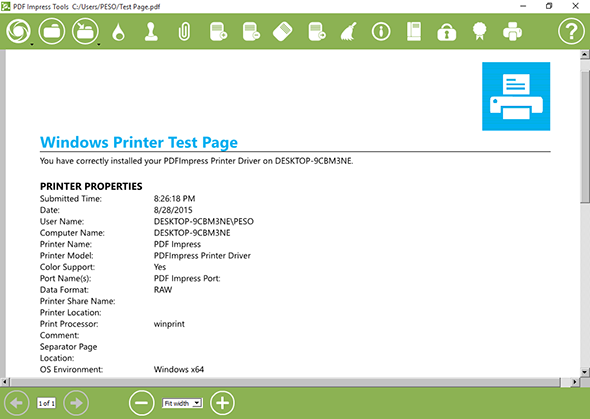 PDF Impress 10 lets you create output in Adobe PDF format from any application that has a print function. With PDF Impress 10, you can produce PDF output in "paper" sizes up to 200 inches, featuring your choice of landscape or portrait orientation, and with detailed resolutions up to 2400 DPI. After you've produced output with PDF Impress 10, you get to play around with all of the program's editing features! 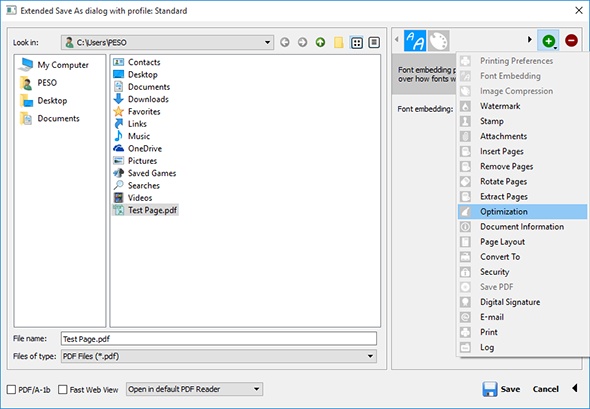 That's right, PDF Impress 10 has the ability to preview, print, merge, split, extract, insert, remove, and rotate pages within your PDF document. Add stamp, watermarks and digital signature with visual appearance to protect your work, and you'll start to wonder how you ever got along without PDF Impress 10. Best of all, you can create Watch Folders - just drop files into them and PDF Impress 10 will automatically convert them to PDF for you! 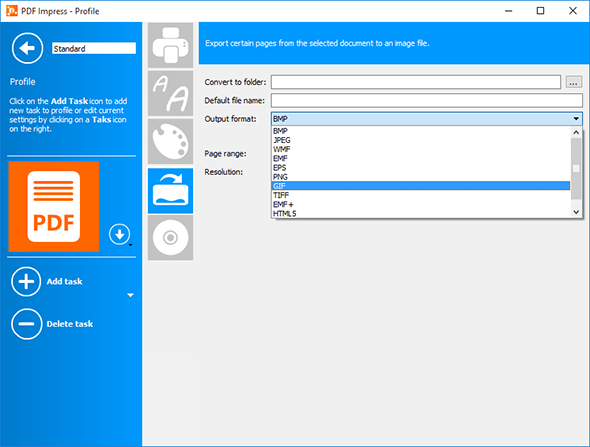 Please note folks: with PDF Impress 10 you can use any scanner or webcam to convert hard copies of your documents and photos into searchable PDF files with the multi-language OCR engine. After you purchase PDF Impress 10 it may be used indefinitely. 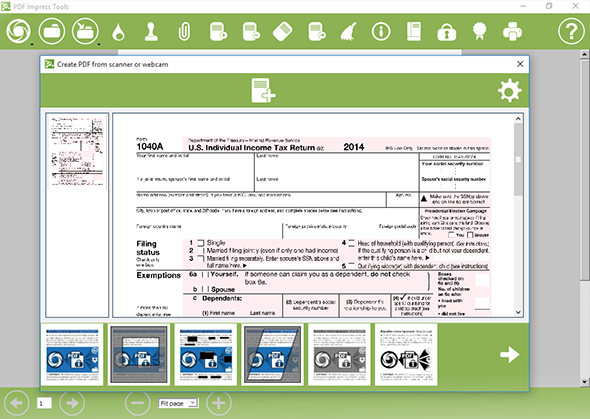 PDF Impress 10 is licensed per user, so if more people are going to use PDF Impress 10 you will need to purchase additional copies. Each license allows installation on 3 computers. 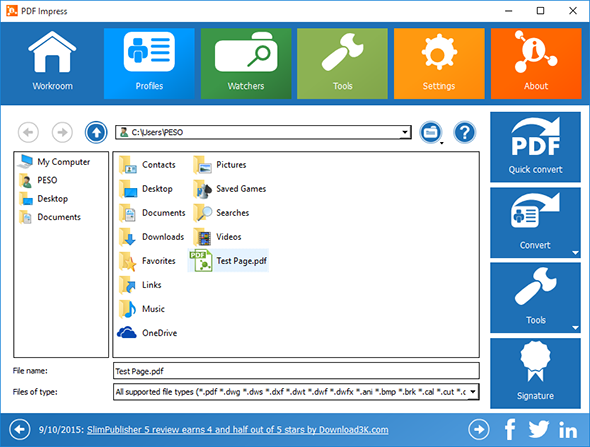 Krisztián User I am not able to install it on my windows 8.1 tab (it rolls back the installation). Why? Krisztián User It IS a full windows 8.1 system. But it is a 32-bit system. Is this the reason then? Will I not be able to install the software just because it is not a 64 bit system? Roz Fruchtman If so many are having problems installing, I'm afraid to even try! Roz Fruchtman Thank You @BinaryNow! BinaryNow If your install rollback it is most probably because it could not install printer driver. One of the reason could be non-functional or shut down print spooler service. Other reason could be some antivirus or permission restriction which would not allow you to install it even if you are administrator. If this does not help contact us at support binarynow.com and we will instruct you on have to create debug log. Buzz User I've downloaded and installed but I have not received an email with the registration code. Constantin Florea @Buzz User, I just resent your receipt email at the email address (buz......ine@gmail.com) associated with the BitsDuJour account you used to post the above message.